Mrs. Thomas started in the 7th grade at Barton in 1968. After graduating college and becoming an LPN, she finished her education degree and began teaching at Barton in 1984. Since that time Mrs. Thomas has completed her master's degree. Mrs. Thomas has spent her life giving back to Barton School. Her two children graduated from Barton and she has seen four grandchildren go beyond excellence at Barton-Lexa School District. 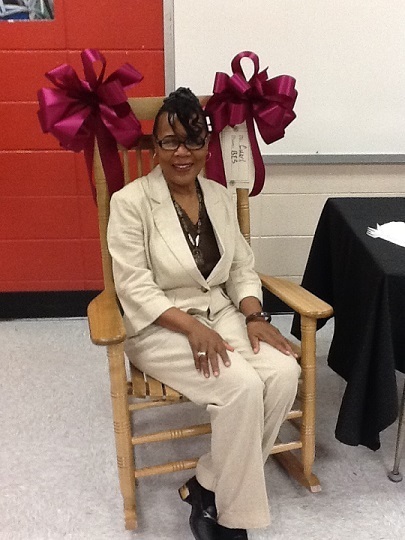 She was given a retirement rocking chair, a necklace, flowers, a balloon, and a large retirement cake given to her by Mr. Bernie Winkle, Elementary Principal. Also, AEA representative, Ms. Sherry House, presented her with a crystal bowl. 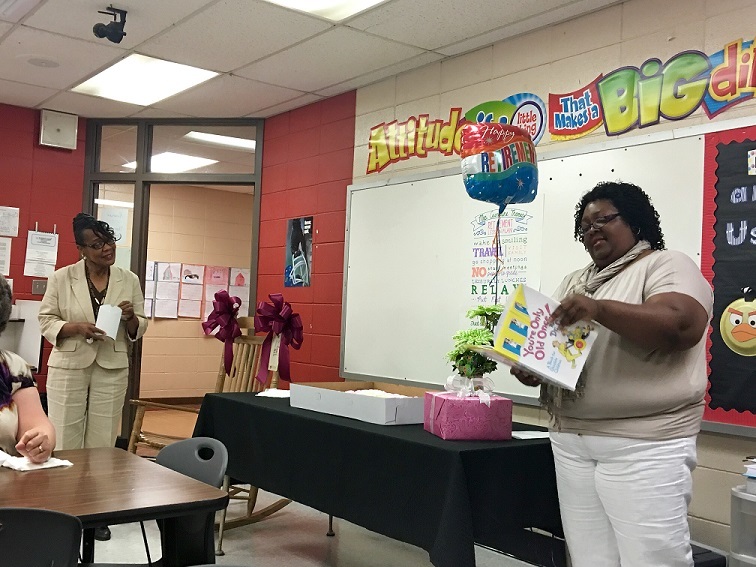 Mrs. Latonya Sanders and Mrs. Martha Green presented her with Your're Only OldOnce!By Dr .Seuss and a touching retirement poem. Mrs. Jennifer Gibbs created a beautiful retirement banner for her. Mrs. Thomas enjoyed a final potluck for the year from the Barton Elementary staff. God bless you Mrs. Thomas!! We will miss you! !